A 19-year-old man has died after the car he was travelling in struck a ditch in Co Wicklow last night. The incident happened at Vale Road, Arklow at around 9.40pm. 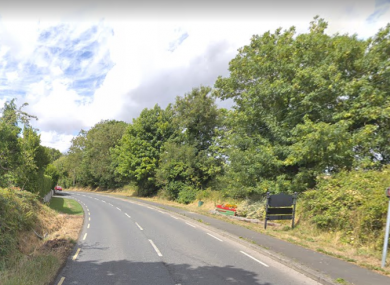 The man was fatally injured when the car he was a front-seat passenger in struck a ditch. The 18-year-old male driver was injured. There were no other occupants in the car. The stretch of road where the incident took place is currently closed to facilitate an examination by Garda Forensic Collision Investigators. Local diversions are in place. Gardaí are appealing for witnesses to contact Arklow Garda Station on 0402 26320, the Garda Confidential Line on 1800 666 111, or any garda station. Email “Man (19) dies after car he was travelling in struck ditch in Co Wicklow”. Feedback on “Man (19) dies after car he was travelling in struck ditch in Co Wicklow”.